Noise control, noise and vibration, building acoustics, room acoustics, electro-acoustics and machine acoustics. 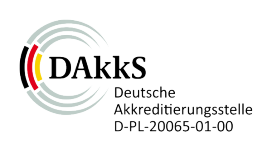 We are nationwide accredited by DAkkS according to DIN EN ISO / IEC 17025 and notified by the State of Brandenburg as “bekanntgegebene Messstelle nach § 29b BImSchG für Geräusche und Erschütterungen”( measuring laboratory according to § 29b BImSchG for noise and vibrations). The accreditation is valid for the scope listed in the certificate addendum [D-PL-20065-01-00]. 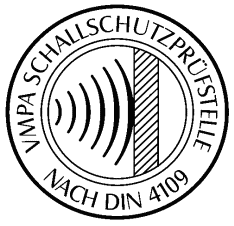 In addition, as a “VMPA anerkannte Schallschutzprüfstelle nach DIN 4109” (approved sound insulation testing center in accordance with DIN 4109), we are also qualified nationwide and are listed in the list of VMPA accredited sound insulation testing agencies under the number VMPA-SPG-151-97-BB. Two of our employees are members of the Brandenburg Chamber of Engineers and are entitled to use the German title „Beratender Ingenieur” (Consulting Engineer). Our clients are in the industrial sector, commerce, trade and crafts, gastronomy and culture, as well as from the private sector. But also public clients such as: state building offices, offices for traffic and waterways, building authorities in cities and municipalities belong to our customer base. In order to solve extensive or cross-functional project tasks, we cooperate with other engineering firms.